EVERYTHING YOU NEED TO CREATE AN EXCEPTIONAL CHARITY GOLF EVENT, GUARANTEED! Do you feel overwhelmed with the idea of organizing your first golf event? Are you a seasoned tournament coordinator wanting to offer clients new zero cost services? Like the idea of an experienced charity golf tournament planner becoming your coach? iGolf Value Guide’s Clubs 4 Charity division offers free consulting services, to help charity golf tournaments of all sizes implement fundraising strategies to increase charitable donations, guaranteed. Our primary program is Clubs 4 Charity Golf Club Drive which is a completely new approach to fundraising. Our Golf Club Drive enables your organization to capitalize on the untapped value of unwanted, used golf clubs, collecting dust in every golfers garage. These golf clubs are just waiting to be cleaned and recycled to help benefit your cause. Imagine 100 golf participants donating a used putter, wedge or maybe a complete set of clubs; you can see how thousands of dollars could be raised without asking anyone for money. Use iGolf Value Guide to search for club(s) and value. 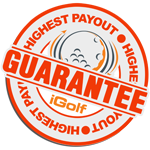 Here’s how it works: You collect golf clubs, we pick up, we pay you the iGolf Value of your collection, and your cause benefits. Free Marketing Material so you can start a Golf Club Drive today. Free Consulting Services to help you create a fun, organized and rewarding golf event. Click "Download Now" to register your golf event. Once registered you’ll receive our FREE Clubs 4 Charity Recycling Fundraising guide which will show how to raise thousands of dollars at NO COST to you. Also included will be additional marketing material, not available on our website, PDF and JPEG images will help maximize your efforts.